A French international "hypermarket," Carrefour has stores in Europe, Asia, South America and North Africa. The largest retail group in global revenue second to Wal-Mart. 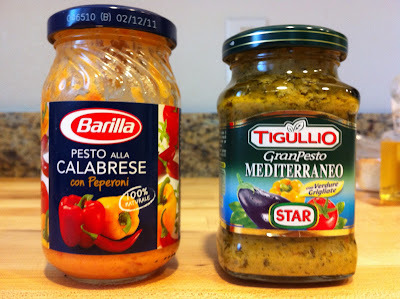 Whenever my husband and I go to visit his family in Italy we go to the Carrefour store in Massa to shop for Italian products we cannot find in the US or simply purchase them for a much lower cost (even with the Euro conversion.) 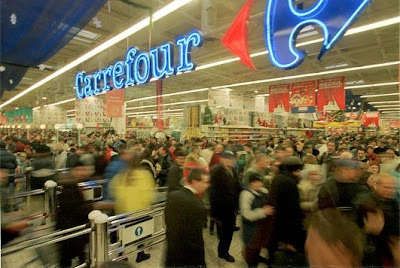 What I really love about Carrefour is that they offer local products specific to the country and even locale. 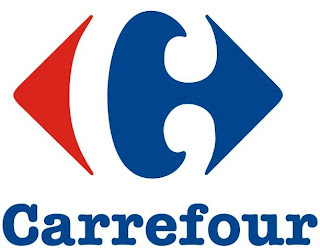 I highly recommend if you are abroad and find a Carrefour in the country you are visting GO SHOP THERE! 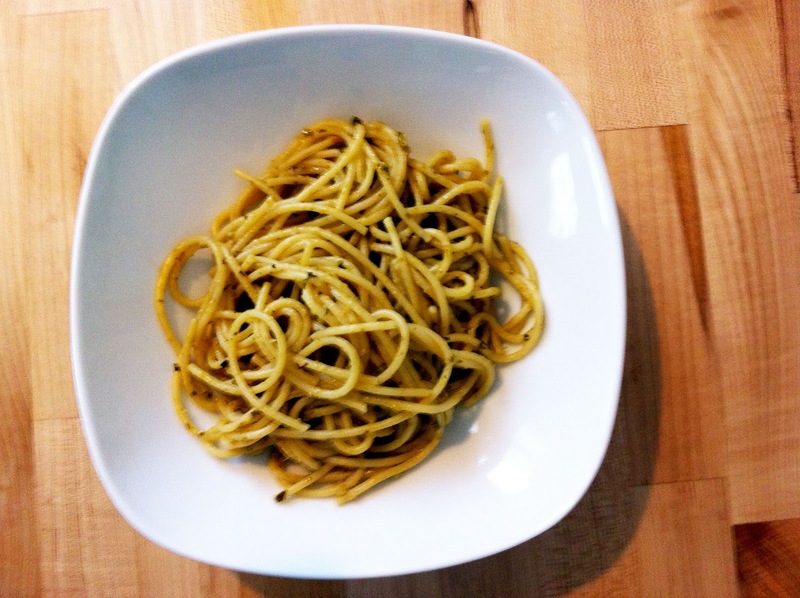 You can tell a lot about different cultures just by researching their foods. Depending on the product (no meat, fruits or veggies) you can bring spices, coffees, teas, etc. back for inexpensive souvenirs and gifts. A lot of the Italian products I will feature in my cooking have been purchased here. The pestos shown above pack a lot of flavor in small doses, so I can mix one jar with two poundsof pasta, well more then one meal for us. As well as a rule Americans over sauce pasta, a little goes a long way, your pasta should never be "drowning" in sauce.